"The Nano-Air Light Hybrid Jacket combines 40-g FullRange insulation; a flyweight shell fabric; and an airy, wicking knit for warm, stretchy, breathable performance during high-exertion, cool-weather missions. Protection up front, breathability in the back. The Nano-Air Light Hybrid Jacket was created to put an end to the clam factor that often accompanies hefty aerobic effort in chilly temperatures and keep you at optimum operating temperature even on bad hair days. A light layer of warm, stretchy and breathable FullRange insulation (40-g) is wrapped in a lightweight yet durable, 100% nylon ripstop shell with DWR (durable water repellent) finish for just the right amount of wind- and weather protection up front. Everywhere else, a super stretchy, airy waffle knit swiftly wicks moisture, controls odor and dissipates heat. 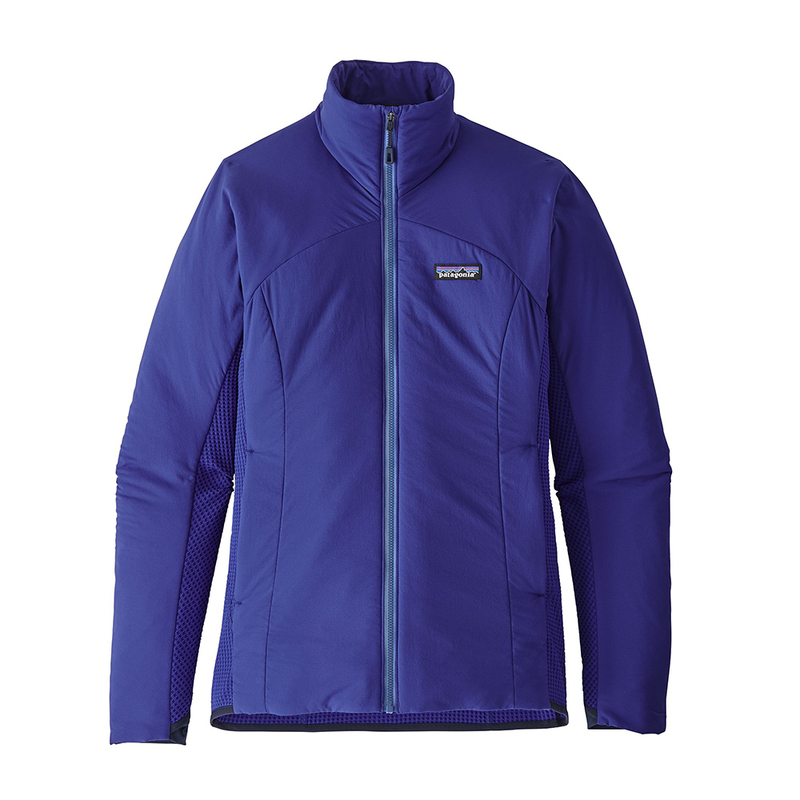 Other details include a sleek center-front zipper with a zipper garage thats easy on the chin, stretch-knit cuffs with thumb holes to ensure critical coverage, low-profile zippered pockets for comfort under a harness or pack and a stretch binding hem to seal in warmth. Insulation: 40-g FullRange 100% polyester stretch insulation. Knit: 6.3-oz 100% polyester stretch waffle knit with Polygiene permanent odor control"